On Friday, the body of Corporal Ronil Singh will be transported from Modesto to Newman -- for his final watch. FRESNO, Calif. (KFSN) -- On Friday, the body of Corporal Ronil Singh will be transported from Modesto to Newman -- for his final watch. Several services will take place at the end of the week to honor the slain officer, who was killed during a traffic stop early Wednesday morning. 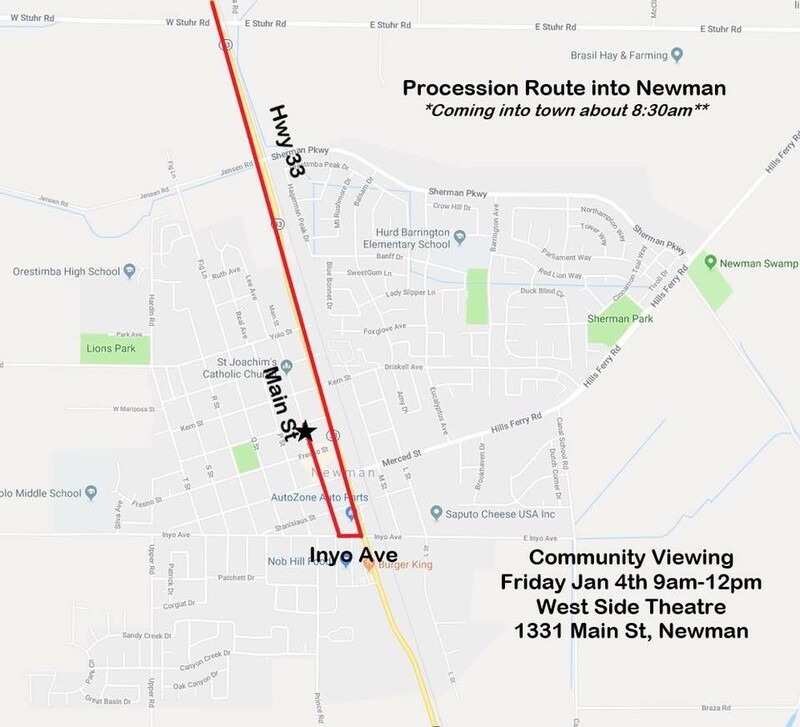 Two Honor Guard Viewings will be held on Friday, Jan. 4 at the Newman Community Meeting Room and the Salas Brothers Funeral Home. Funeral services will take place at CrossPoint Community Church in Modesto on Saturday, Jan. 5 at 10 a.m. followed by a procession to Lakewood Memorial Park. After the funeral, an honor guard procession will take Corporal Singh to Lakewood Memorial Park.